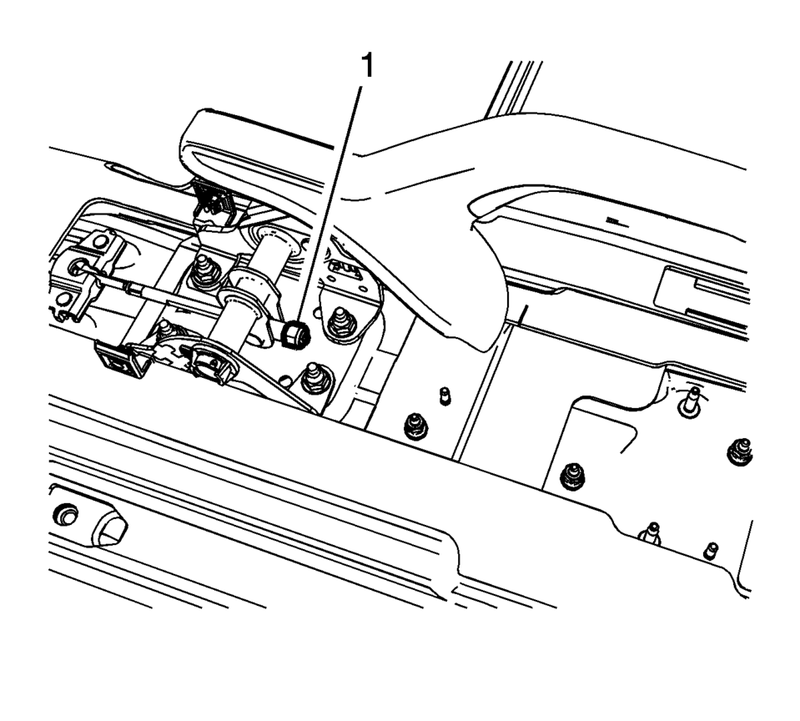 Ensure that the park brake lever is in the fully released position. Disconnect the electrical connector from the park brake warning lamp switch. Using ONLY HAND TOOLS, loosen the adjusting nut (1) completely to the end of the front cable threaded rod. Remove the park brake lever mounting nuts (1). 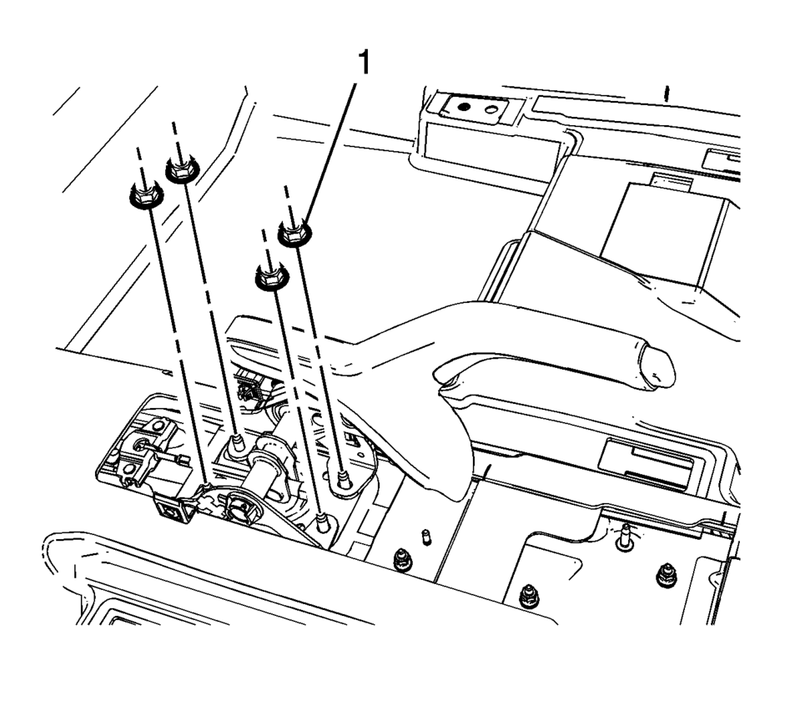 While removing the front cable threaded rod from the park brake lever assembly, remove the park brake lever assembly from the vehicle. While intstalling the front cable threaded rod to the park brake lever assembly, install the park brake lever assembly to the vehicle. Connect the electrical connector to the park brake warning lamp switch. Loosely install the adjusting nut (1) to front cable threaded rod. Adjust the park brake cable tension. Refer to Parking Brake Adjustment.